Back to school season always brings with it a flurry of 'get organized' products. And even though I'm 7 years removed from school with no intention of going back, my organization loving heart is just so giddy at all the new stuff to play with. Helloooo sales! In case you didn't know, it's not just sales on school supplies. Since college is back in session too, it's sales on everything you might need to get a dorm room in order, like hangers and tupperware (two things I talk about on my list below), so I figured it was a good time to share the stuff that I really love that you might want to look for for your own home. I've already talked about how I live paperless, so you might remember that I use Evernote, Google Drive, and Dropbox. Those tools also keep me super organized, but I tried to focus on what was around my house instead of what's on my computer for this list. Here are the products from pretty much all over my house that I think keep me the most organized, out of everything I've tried. Slim, No Slip, Matching Hangers. Best investment in my closet ever. The slim design saves space, of course, but the whole idea of matching hangers in general is what makes the biggest visual difference in your closet. It just looks so much cleaner when the hangers match, so if you need a new matching set anyway, get the velvet slimline ones. The velvet ensures your clothes never slip off and annoy you. Matching Glass Tupperware Sets. It's so easy and cheap to just sort of collect various pieces of food storage systems over the years, but ditching those in favor of a matching set has been a huge help in keeping the kitchen cabinets organized, as well as inside the fridge. We actually have different sets for each of us, but the basis of the idea is the same - sets fit together. Same sizes and matching lids means that (a) everything is accounted for, no digging for the right lid and (b) everything stacks and stores well. If you've had your tupperware come tumbling out of the cabinet at you, save yourself the frustration and get a nice glass set. For myself, all of mine are the same size, plus I use mason jars (considering a switch to all mason jars, we'll see.) For John, he uses a Pyrex set he got from his mom so his are various sizes, but they line up neatly in the cabinet and stack well in the fridge. Under Sink Drawers. I know some people, especially in bathrooms, prefer a basket system so they can pull the basket in and out but I've had much better success with the drawer system, especially when the space is deep. At the moment we don't have enough products in either bathroom to warrant under sink drawers, but we definitely needed it in the kitchen. Storing the recycling bin under the kitchen sink was pretty much our only option, so that took up one entire side. On the other we have that drawer, and we can store microfiber towels, dishwasher detergent and dish soap, dish brushes, etc etc. It's so nice for keeping everything corralled and since the drawer pulls out, I'm able to see where everything is instead of having to sit on the floor and go digging through the cabinet. Corner Shower Rack. John has a built in to store things inside his shower, but my bathroom is the traditional tub so I needed to put storage in. I have a corner unit that sits on the edge of the tub and reaches the ceiling, using tension to stay in place. It has 3 little shelving baskets. I've had it for years, I've used it in all my apartments since moving back to Chicago from Iowa. I really like how it looks, more so than any other shower storage options, and it's able to hold everything I need. Plus it's rust resistant and since it's the wire kind instead of anything with a plastic bottom, all my products can drain and not sit there wet and molding. It even has a little hook for my shower puff. Love it. Drawer Organizers. If my silverware were rolling around inside a drawer all mixed together, I might actually go crazy. 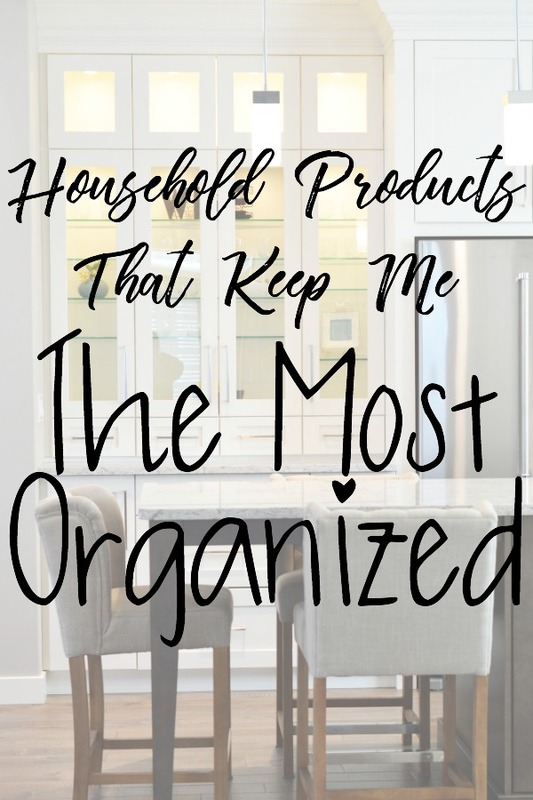 I also use organizers in the drawers of both bathrooms, and it makes it so much easier to find and corral everything we need, like hair ties or shaving supplies. If I didn't have them, everything would get jumbled together and I'd get annoyed at the constant mess. Now everything has it's own spot, and I love that. Makeup Organization. I constantly change up what I use to organize my makeup. I switch between keeping everything in a bag or in a glass organizer. It depends on how often I'm taking my makeup with me (like if I'm pet sitting my parents' dogs.) I like having both options but regardless of which I'm using, I'm just glad to have them organized in some fashion. In college I would have it scattered across my sink or I'd chuck it all into a basket and throw it under the sink if I had people over. Definitely not a good system, it was always a mess and I would lose stuff. Having it organized is making my life much easier. What products keep you the most organized? Have you bought anything new during the multitude of back to school sales? Target siren song sucked you in yet? Linking up with Lauren and Bre, do the same with your recommendations!